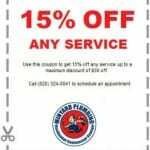 In order to save money and minimize the amount of water waste, your best option is to call us at Minyard Plumbing for fixture repair in Taylorsville, NC. Fixture Repair in Taylorsville – A faucet that leaks in the home can waste as much as 34 gallons of water per year. Even just a few drops per hour can result in a large volume of water waste. 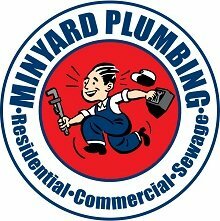 In order to save money and minimize the amount of water waste, your best option is to call us at Minyard Plumbing for fixture repair. You can attempt fixture repair on your own, which might involve examining the faucet for holes, looking at screws and washers for damage, or tightening screws. For many people, fixing a leaky faucet is simply too difficult, so give us a call to schedule a time for a technician to come to your property. If you live in Taylorsville, North Carolina, call us today to find out what we can do for you in terms of fixture repair. We have years of experience in the plumbing industry. Since we are family-owned and operated, customer service is our main priority. When we perform any type of work on your property, we will make sure it meets or exceeds state code requirements. If any work requires permits, we can also work with local authorities to make sure that all jobs are approved prior to the start date. At Minyard Plumbing, Inc., we offer high-quality fixture repair services in Taylorsville, Hickory, Bethlehem, Conover, Lincolnton, Morganton, Newton, and St. Stephens, North Carolina.